Automotive wheel Bearings Most of the double row composite bearings and single row tapered roller bearings, double row composite bearings are often used in small cars, maintenance-free, slightly complex structure, high cost; trucks and large buses generally use two single row tapered roller bearings. In addition to the bearing manufacturing process, material selection, lubricant selection, the use of operating conditions and other factors on the bearing service life has a great impact, the pre-bearing structure parameter design is also not negligible, bearing is to withstand the motion load parts. Only reasonable matching design, can have a high-life bearing. This paper focuses on the main points of the design process of single row tapered roller bearings and the analysis of the contact performance of bearings under operating conditions. Automotive hub tapered roller bearings are mounted on the inside of the wheel side hub of the car and are supported on the half shaft casing. General single-wheel edge with 2, backed-up combination. Lubrication is usually in the form of grease, and the hub ends with an oil seal. In recent years, the failure of after-sales failures are frequent, the main faults are: pitting, wear, small edge fracture, and so on, the reason not only the improper selection of grease, oil seal seal is not strict cause the bearing running overheating, material selection problems, and some of the reasons reflected in product selection and design and development process problems, such as the pursuit of excessive , the number of roller selection is too large, and the design of the structure is unreasonable, the paper mainly introduces some steps and precautions in the design of single row tapered roller bearings. Tapered roller bearings are mainly composed of inner ring, outer ring, roller and cage, the geometrical shape is shown in Figure 1. Tapered roller bearings have the following characteristics. (1) Tapered rollers in the inner Ring Raceway, outer Ring Raceway and roller busbar along the long line should intersect with the axis of rotation to facilitate the rollers along the raceway of each point for pure rolling motion. (2) The Inner and outer ring raceway of tapered roller bearing has inclined angle, so the bearing has the ability to withstand axial load and radial load. The angular size of the outer raceway and centerline is closely related to the ability to withstand axial loads and radial loads, and the line contact between the raceway and rollers in the inner and outer rings makes it highly capable of carrying. This feature has been used in a number of occasions, especially automotive axle, such as: Automotive hub bearings, main reducer bearings, differential bearings and so on. The taper of the inner and outer ring raceway and roller not only guarantees the roller pure rolling, but also pushes the rollers to the large retaining edge of the inner ring Raceway in operation, and guides the rollers to ensure that the rollers are positioned by the large retaining edge of the inner ring. (3) For the determination of the design parameters of the tapered roller bearings, the outer ring, inner ring and roller assembly can be in the same model specification bearings of the outer ring or the inner ring and roller of the assembly to achieve interchangeability, convenient for the batch assembly of automobile production. (4) The outer ring and inner ring of tapered roller bearings are separable, which is very convenient during the assembly and after-sale maintenance of the automobile production line. (5) According to the actual assembly structure characteristics, the tapered roller bearing to apply the appropriate load, in order to adjust the clearance size, clearance adjustment is more convenient. Tapered roller bearings have many characteristics and are widely used. Mainly used in machine tools, railways, automobiles and other industries, such as automotive main reducer bearings, differential bearings, automobile wheel hub bearings. In the practical application of tapered roller bearings, the roller and the raceway of the inner and outer rings continue to contact, in order to meet the use of life, inner ring, outer ring, roller and cage four parts must have a certain strength. The increase in the number of rollers will increase the rated dynamic load, but will affect the cage parts narrowed, resulting in insufficient cage strength and failure; due to the inner ring and the shaft of most of the interference fit, in the assembly process, the small flange can withstand a slight beating, the length of the roller, there will be a small edge fracture risk, early breakage , after the main parameter inside diameter, outside diameter, assembly high determination, the rolling body increases, will make the inner and outer ring wall thickness thinning, strength is not enough, affecting the service life. Therefore, it is very important to select the main parameters and structural design parameters of tapered roller bearings in the pre-design process, which has great influence on the final performance, bearing capacity and life of tapered roller bearings. Under the principle of reasonable structure, it is the main task of bearing product design to obtain higher basic static load rating and basic dynamic load rating. The steps for design analysis and calculation are as follows. (1) Understand the bearing working conditions, such as: bearing speed, load size and force, lubrication mode, such as the use of reasonable analysis of conditions. 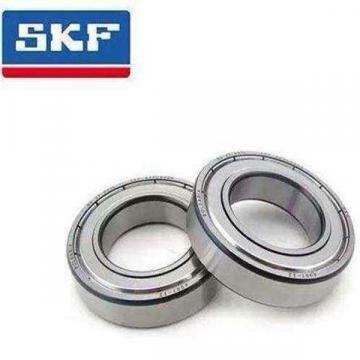 (2) Select the type of bearing structure suitable for working conditions. (3) Determine the inner diameter of the bearing, outer diameter, assembly height, inner ring width, outer ring width, outer ring raceway small end diameter, contact angle, the outer ring chamfer with the automobile hub, and the inner ring chamfer of the shaft with the external dimensions. (4) Determine the diameter of the roller, the effective length of the roller bus, the number of rollers, the thickness of the inner ring large flange, roller half cone angle, the thickness of the small edge of the main parameter dimensions. (5) According to the size of the dimensions and the main parameters, draw the product layout drawings. (6) Determine whether the bearing structure is reasonable and calculate the basic static load rating. 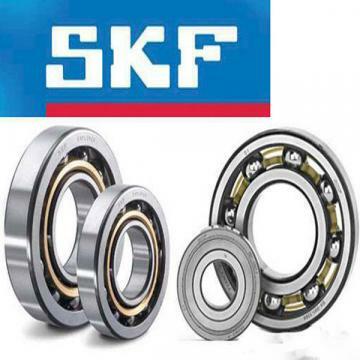 (7) According to the determination of the main parameters of tapered roller bearings, the bearing life is estimated to meet the bearing service life requirements. (8) Complete the design parameters calculation and analysis of the large flange shape of the tapered roller bearing, the inner ring oil groove and other structures. (9) Draw the final inner ring, outer ring, roller and cage product drawings, complete the design. In the past, the tapered roller bearings in the bearing industry used the 780 's experience analogy design, the method is backward, the product level is low, the performance is poor, has not been able to meet the automobile high speed, low torque and other operating conditions, the use of single row tapered roller bearings for the automobile hub, need to rely on the computer finite element analysis method and so on Series design development of single row tapered roller bearings To date, improve the performance and precision of a new step, focusing on three aspects are as follows. (1) Contact between the large flange of inner ring and the big side of the roller. In the previous design, the circular arc of the inner ring large flange and the same curvature of the spherical base surface of the big side of the roller, it is difficult to produce hydrodynamic lubrication, easy to form mixed friction. A running process is required. The running-and-closing process requires time-running, and there is a risk of failure. The abrasive particles will contaminate the lubricant and accelerate the wear of the bearing. The indentation pits on the inner and outer ring raceways subjected to heavy loads cause premature fatigue. Increased wear process, can cause high heat operation, excessive wear and even death risk. Through the optimization design, the arc flange is changed to the taper flange, the roller ball base surface radius r equals 0.95 times times the arc flange radius, and the roller ball base surface contacts with the middle part of the large flange in the inner ring, in order to obtain the wedge lubricant film, improve the lubricating state of the rollers and the big flange of the inner ring, realize low friction, low It is very good to reduce the overheating operation and other failures, improve the reliability of the use of bearings. (3) The roller and cage contact. The cages are mainly isolated rollers, so that the rollers keep a certain distance from each other, prevent contact interference between the rollers, and reduce frictional heat, and can evenly distribute the rollers on the bearing inner ring, which can reduce vibration and noise. In order to achieve the above requirements, the stamped steel plate cage window hole and the roller contact surface appropriate design of the pressure slope, so that the rollers and cages can be very small force can be transmitted, and reduce the contact area retained in the foreign particles and rollers are the risk of scratching. In addition to the stamped cages, there is a well-performing injection plastic polyamide 66 cage. The polyamide material can act as a solid lubricant in the absence of lubricating oil, preventing the failure of the bearing to die. In the process of designing automobile wheel hub bearings, in pursuit of the maximum dynamic load rating, we need to take into account the domestic existing processing technology level, different manufacturers of the process level is uneven. In product development and design, as far as possible to absorb the latest research results, combined with the specific use of bearings, the design of the best parameters of the hub single row tapered roller bearings, which is in itself an optimization process, rather than blindly pursue the maximum dynamic load rating.